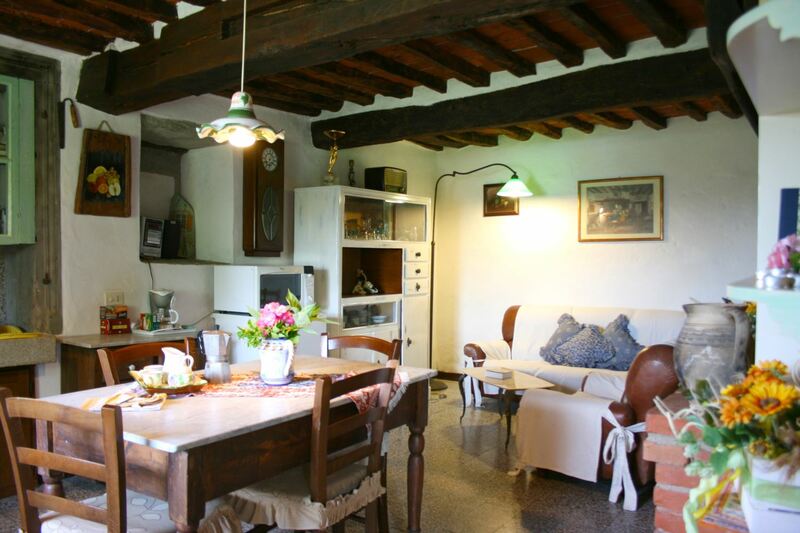 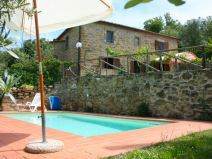 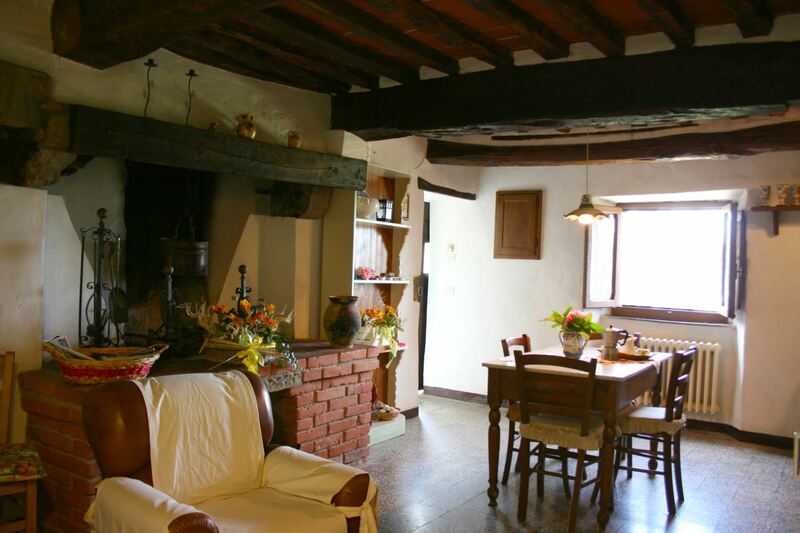 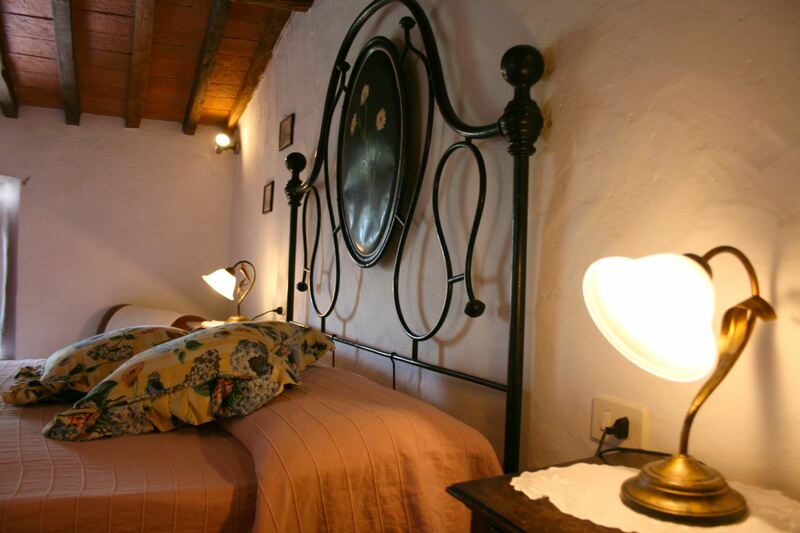 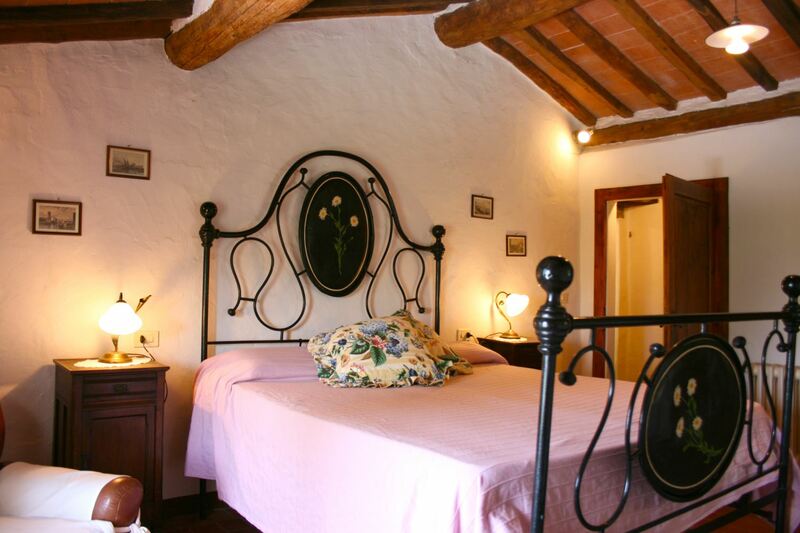 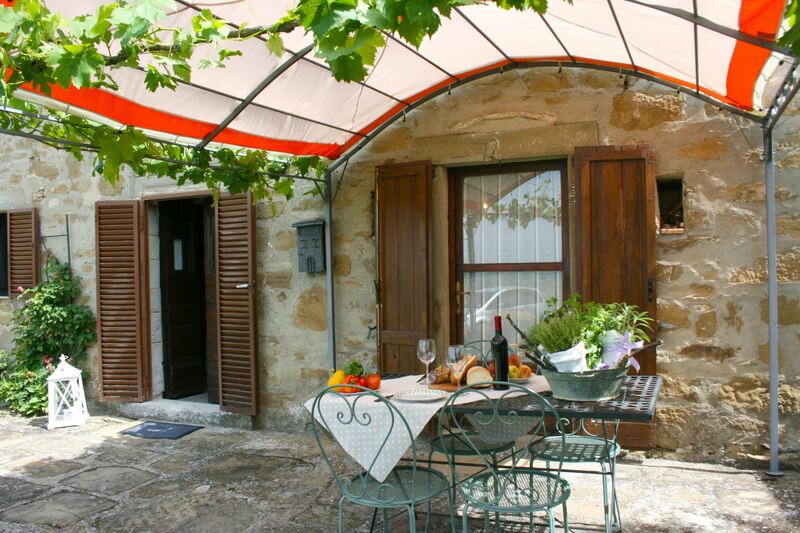 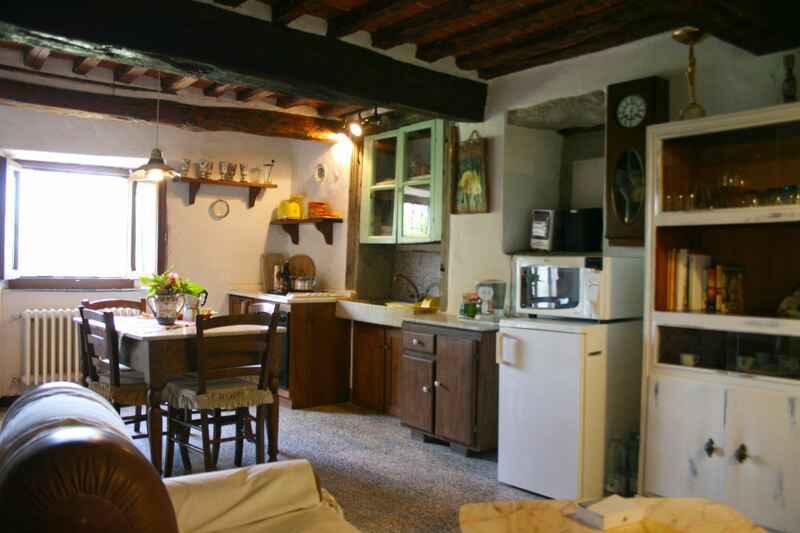 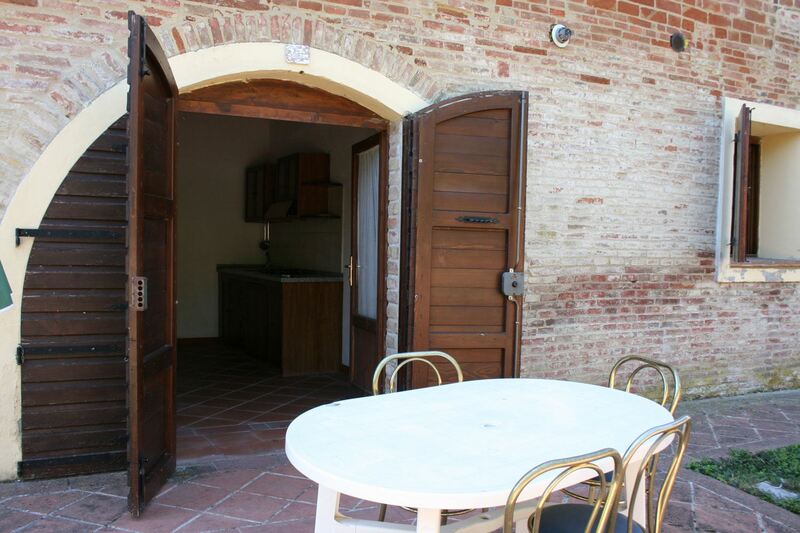 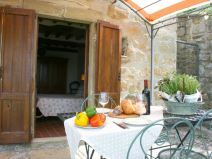 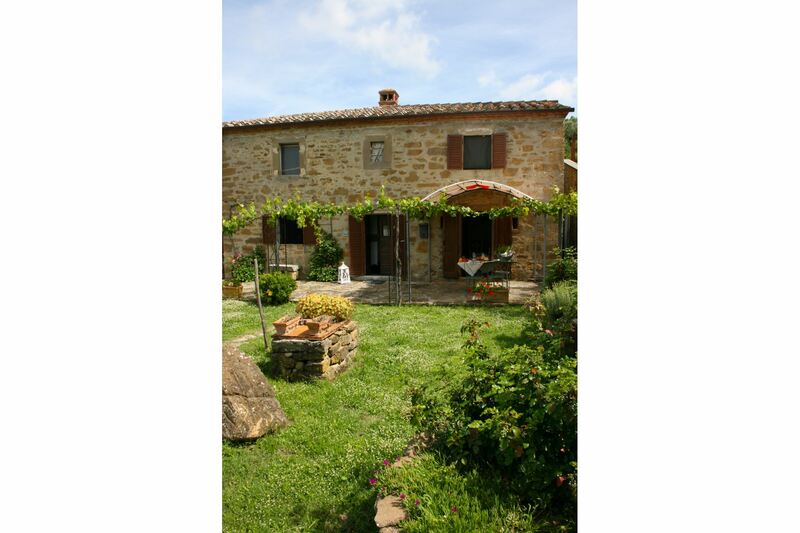 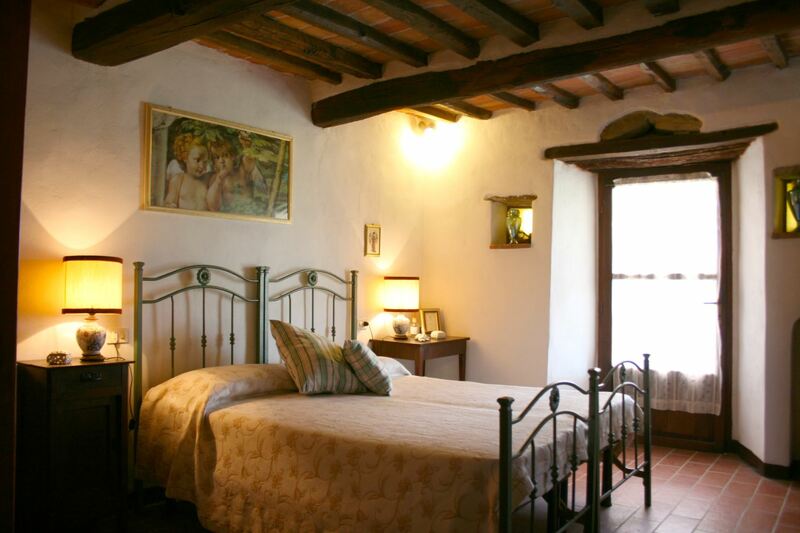 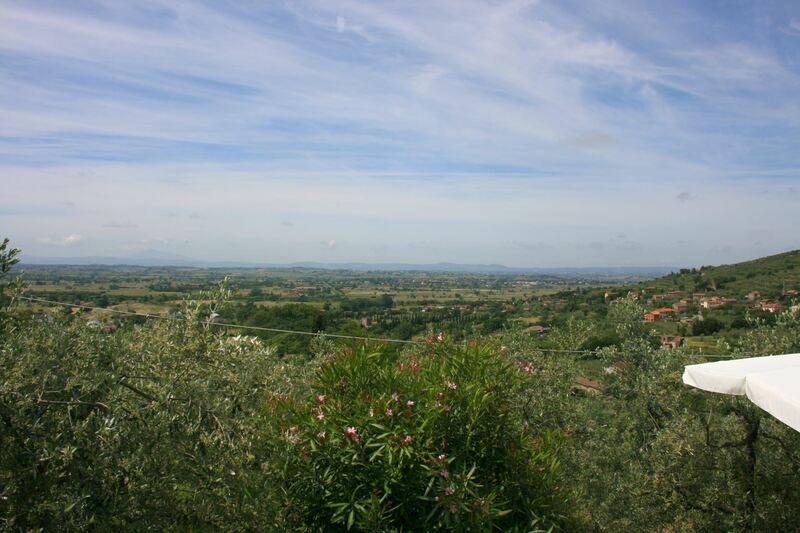 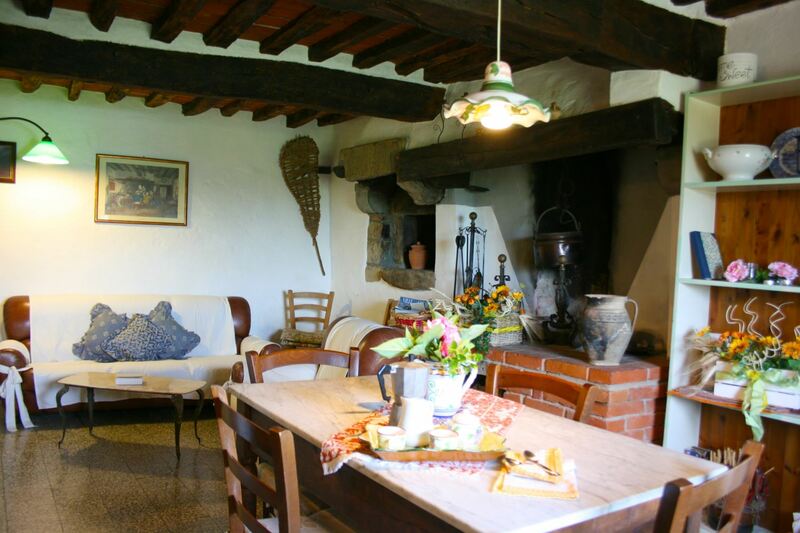 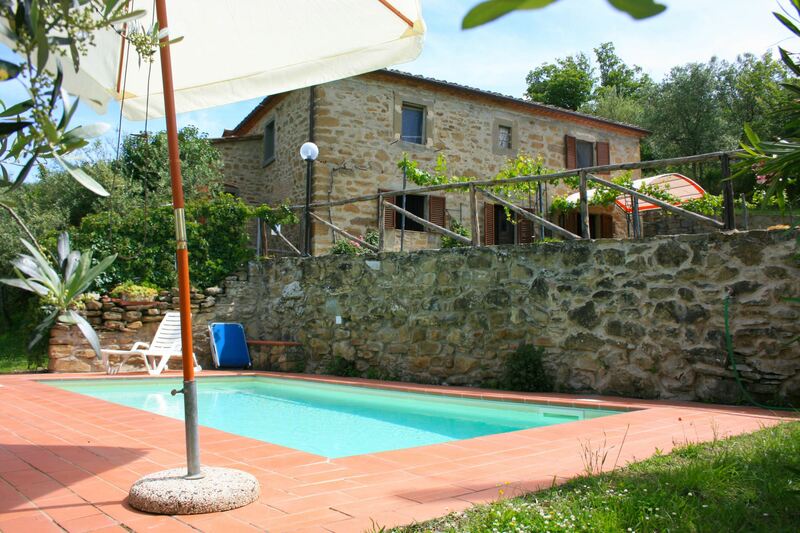 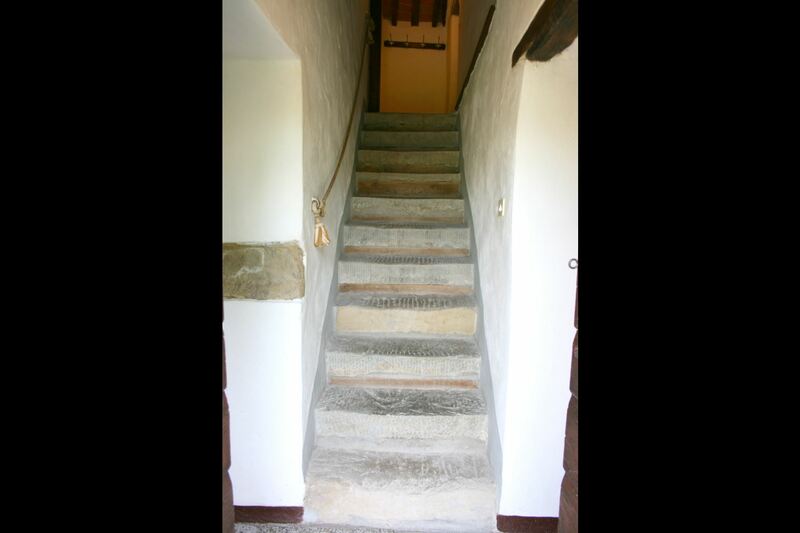 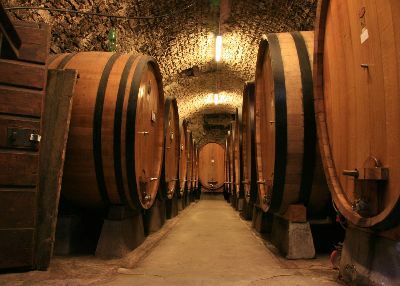 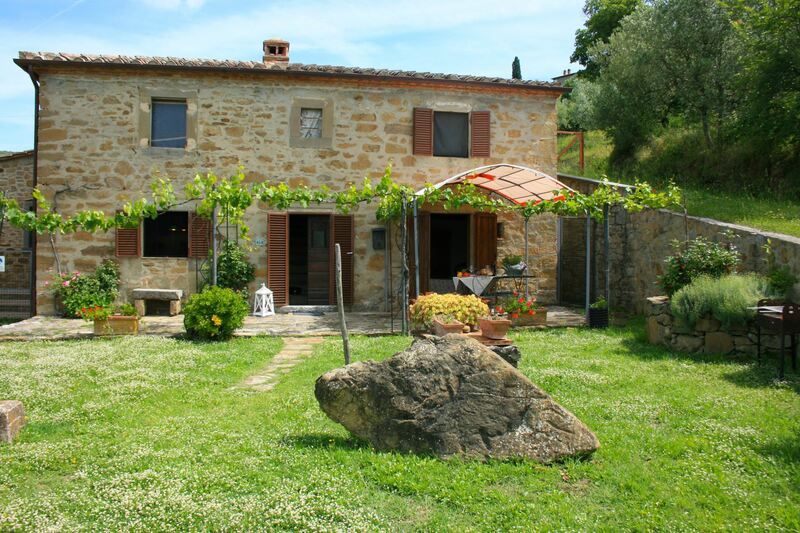 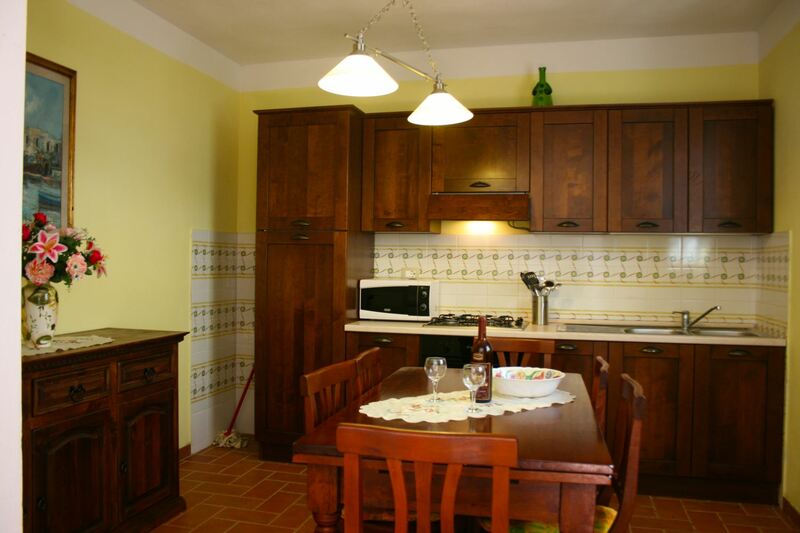 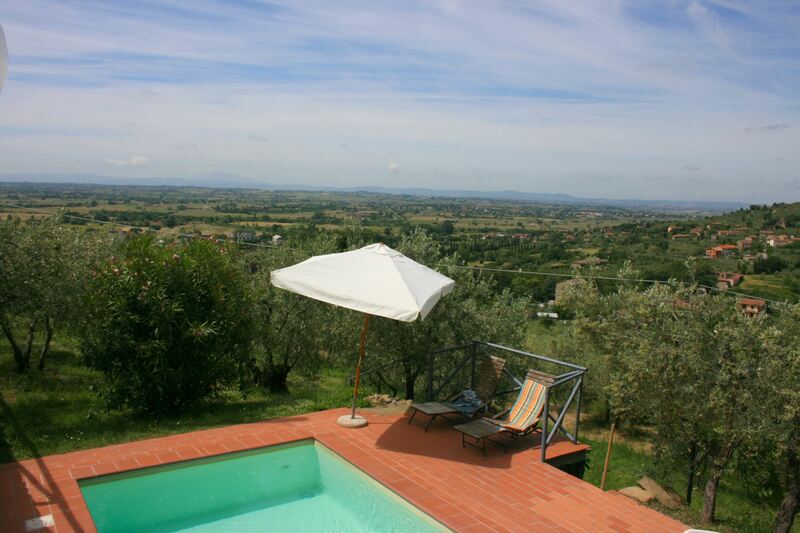 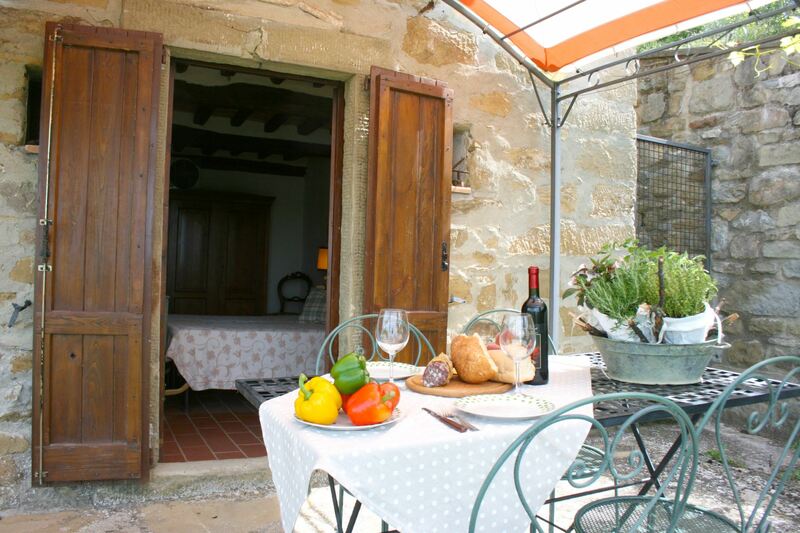 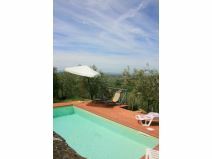 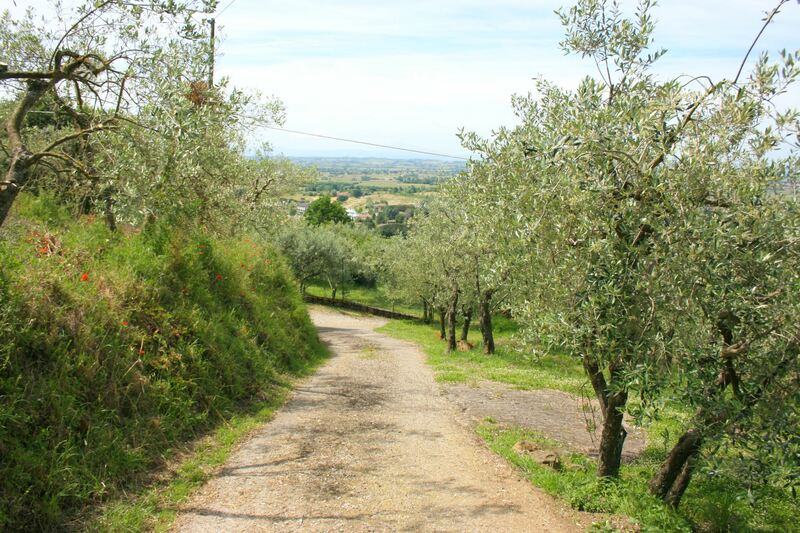 Old stone house with private pool, panoramic position, quiet and ideal starting point for visiting Tuscany. 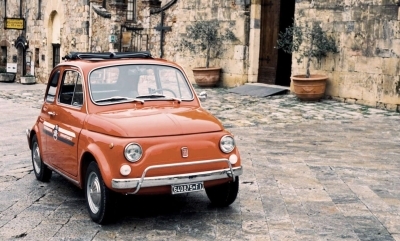 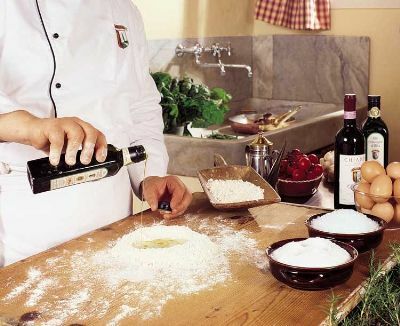 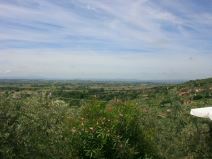 Cortona is 4 km away. 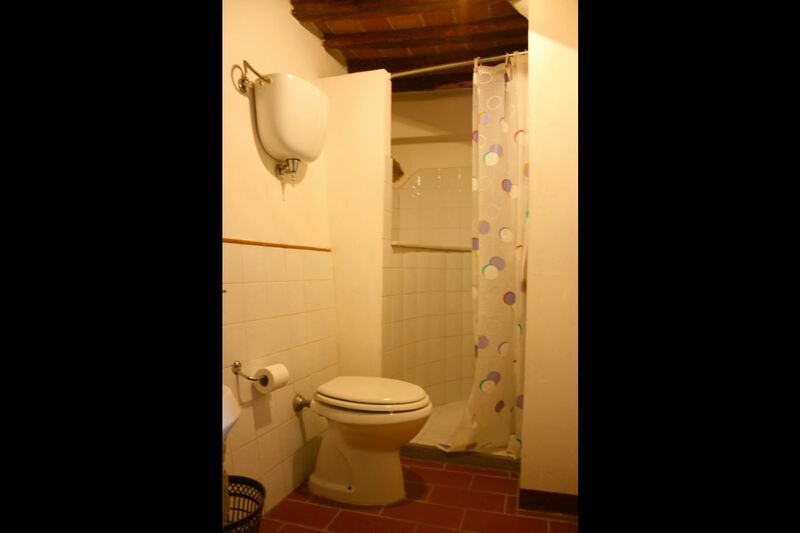 Wi-Fi Internet access, mosquito nets. 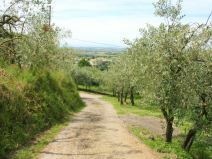 Panoramic and immersed among olives. 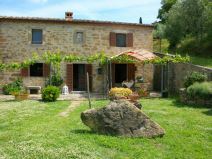 Independent part of a beautiful old stone farmhouse, situated on the hill covered by olive trees of S.Pietro a Cegliolo, not far from the town of Cortona. 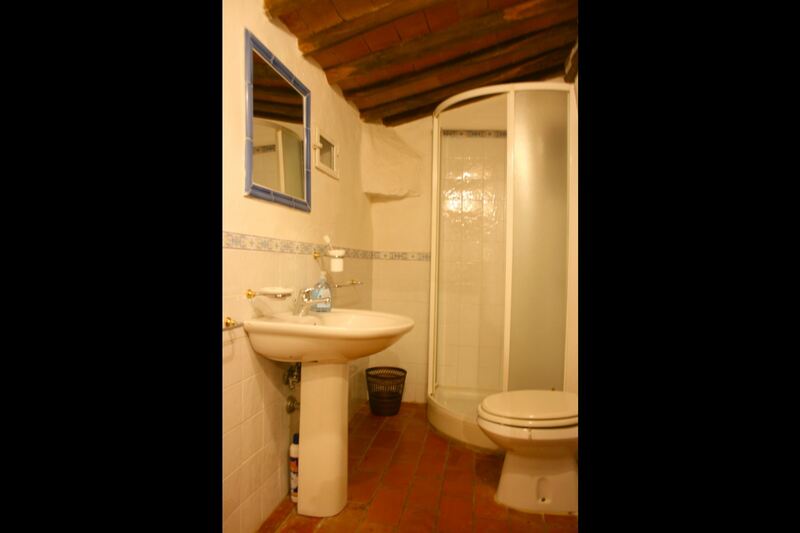 Absolute respect for the original architectural features. 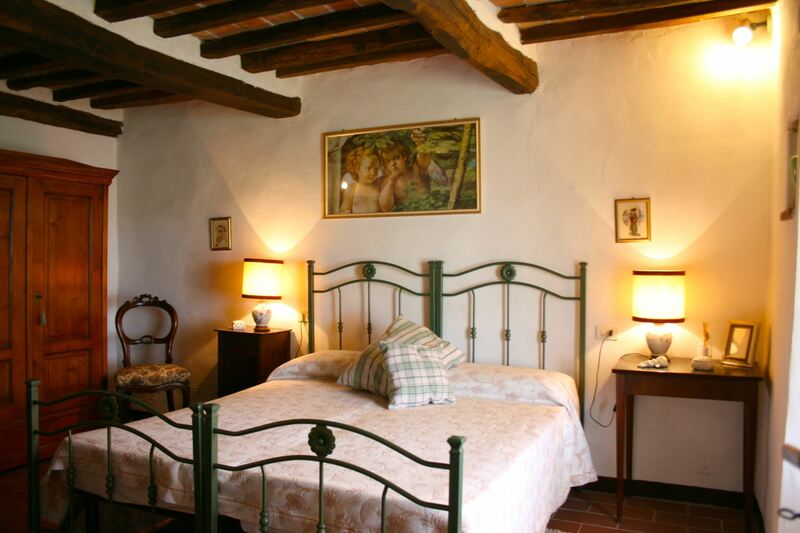 The scrupulous renovation of the building has been carried out with absolute respect for its architectural features: the wooden beams, the ceilings, the fixtures and the terracotta floors are all original. 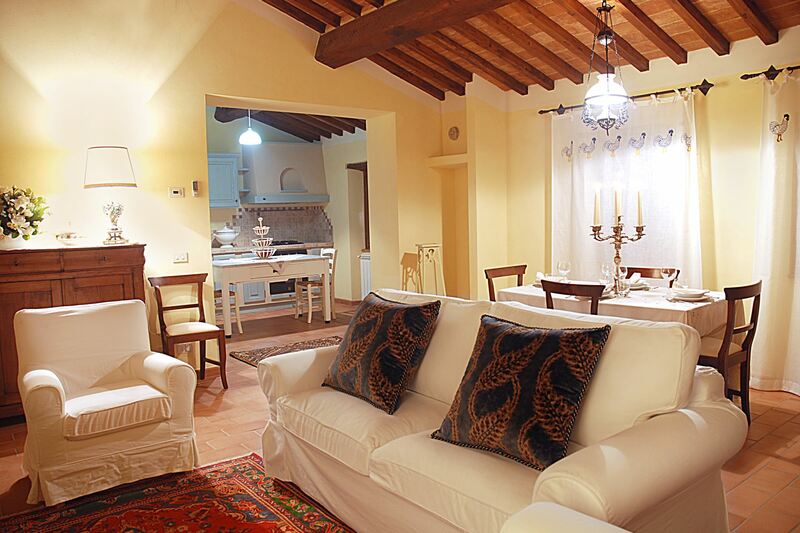 The colours, decoration, finishes used and the furniture are all perfectly in tune with the building style of the house. 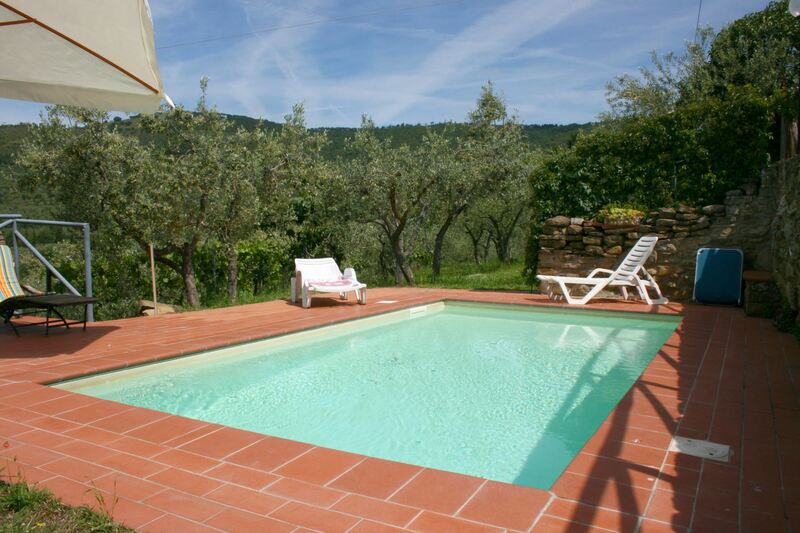 Relax area: gazebo and swimming pool. 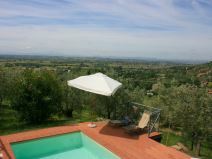 In front of the house there is a large garden with gazebo equipped with garden furniture, amongst the olive trees, there is a charming swimming pool (3,5 x 6 m, depth 0,60-1,50 m). 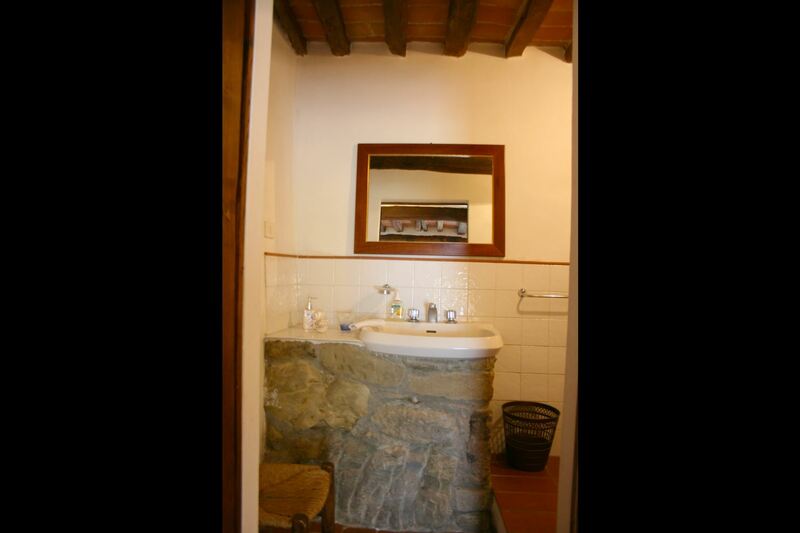 GROUND FLOOR: sitting/dining room with kitchenette and large fireplace, twin bedroom with private bathroom with shower. 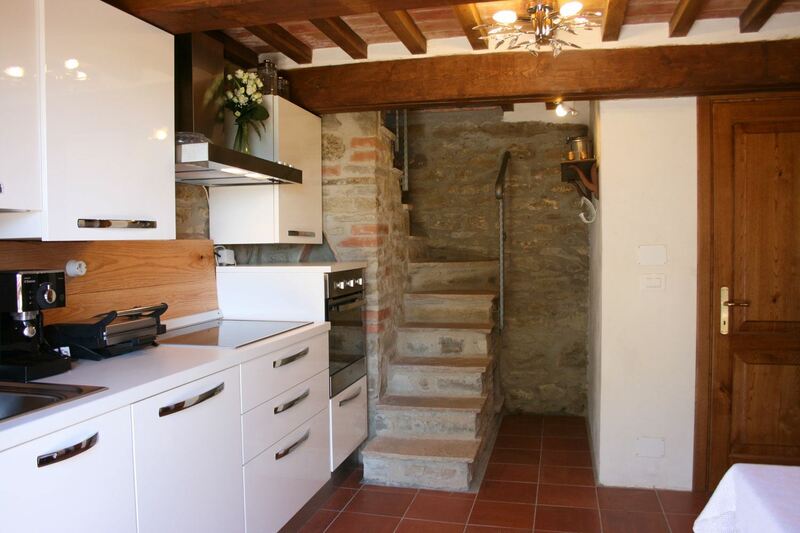 FIRST FLOOR: access via a traditional stone staircase, double bedroom, bathroom with shower. 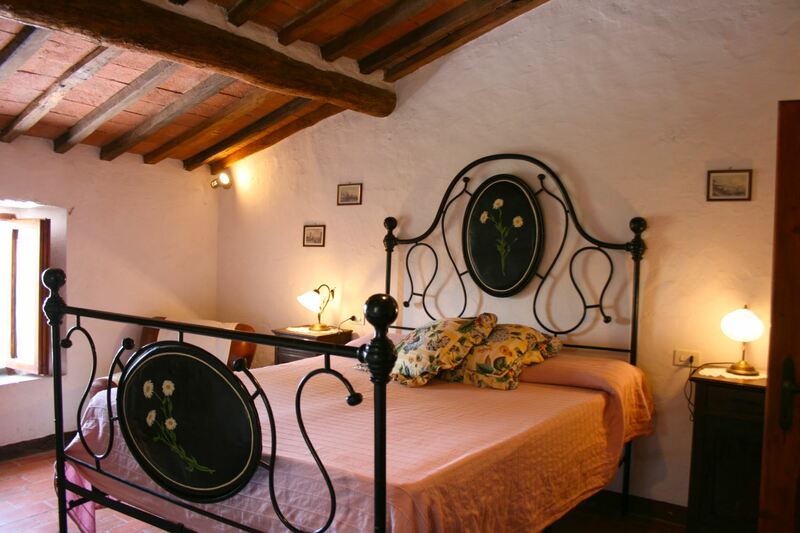 Possibility to add single bed in the double bedroom or in the sitting room. 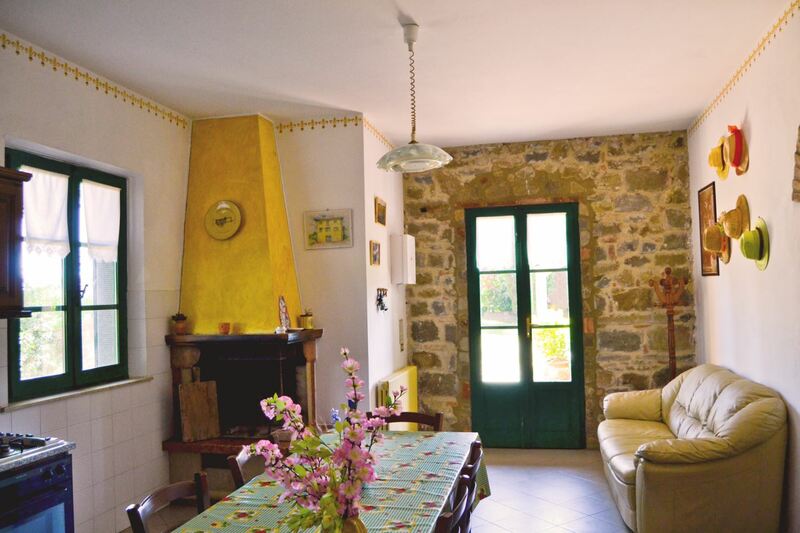 EQUIPMENT: microwave, washing machine, dish-washer, oven, wood burning oven, Wi-Fi Internet access, toaster, filter coffee maker, CD player, moka coffee maker, high chair, mosquito screens, fans (2), hairdryer, barbecue. 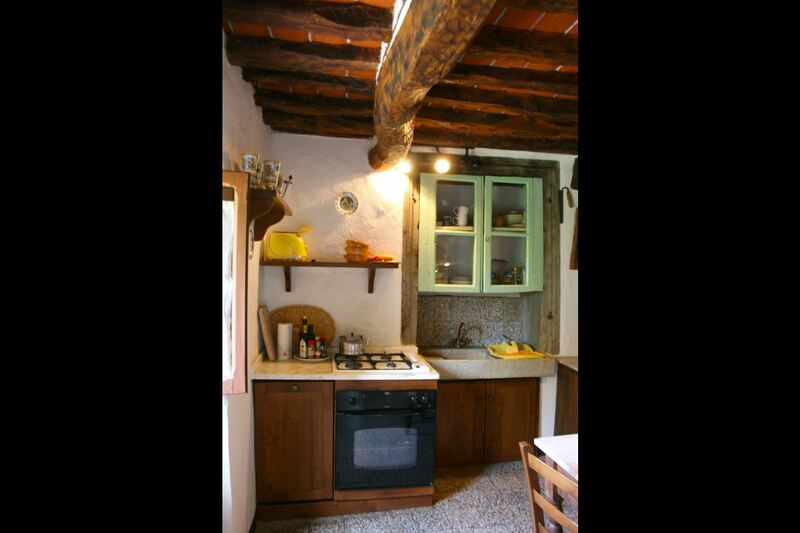 Heating Euro 8 per day (if used). 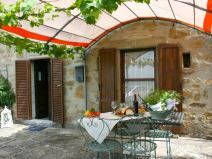 Pets are welcome only on payment of Euro 5 each per day.